Ritchey Breakaway conversion to 650B wheel size: a perfect traveling rough stuff bike! a perfect traveling rough stuff bike! 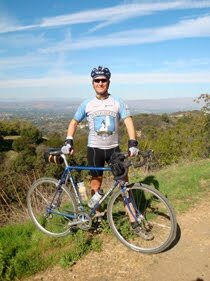 I love my Ritchey Break-Away road bike because it's awesome to ride and because it breaks in half and flies for free! What could be cooler than that? Well, that same bike with an enhanced ability to explore the back-country. By swapping out the brakes for some Tektros with longer reach and then swapping out the wheels to 650B diameter (584mm as compared to the 622 of 700c; note I am NOT talking about the far more common 650C size - 572mm - used by triathletes and bikes for small riders), I am able to run 32mm wide Grand Bois Cypres tyres and, voila!, the bike rides better now off-road and on! 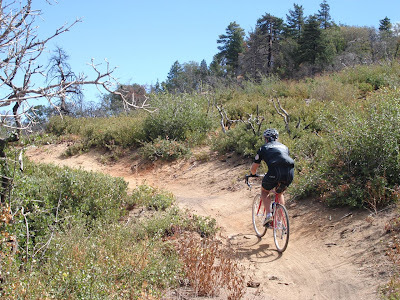 Here are a few pix from yesterday's ride up the rough but paved Pine Creek climb from Pine Valley to Mt. 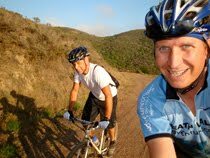 Laguna, followed by a nice stretch of trail - with good dirt sections plus some rocks and soft stuff, too - on the Noble Canyon trail. Equally awesome is the fact that the bike rides better on the road now, too! As I passed over a gnarly cattle guard early in the ride, I was amazed when I only heard it, but didn't feel it! 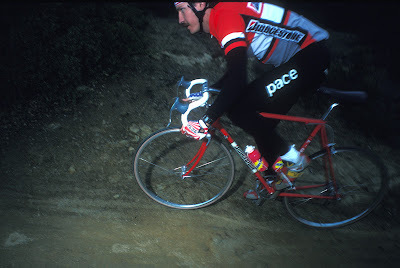 These Cypres tyres are like I remember sew-ups in the 1980s, only better. I run them at 75psi in back and 72psi in front. How to make a conversion like this? I got the wheels from Rivendell, the brakes from Velo-Orange, and the tyres from Bicycle Quarterly. Links at right. 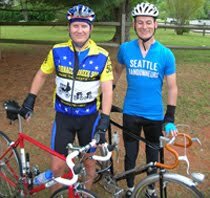 A wholistic approach to cycling rediscovers, encourages, and authenticates the universal nature of outdoor performance skills. Tear away the veil of sports specificity and the wholistic athlete is catapulted into a transcendent, transformative, and transpersonal athletic experience. In this realm, the wholistic seeker appreciates and uses the skills learned (or relearned) in one sport to enhance athletic expression in other sporting arenas. Call it cross-training at an elevated level. Thus cycling lends itself to snowshoeing and to scuba diving, and vice-versa. This is not, however, a consciously directed methodology. In the wholistic state of being, barriers fall away naturally and higher potential is realized. From there, it is but one more step to fully integrate these skills into the arena of daily life. The proverbial journey of a thousand miles begins with but a single step. Catalyzing the journey to wholistic training begins with but a shift of perspective and energy. Run or hike the trails you ride or race. 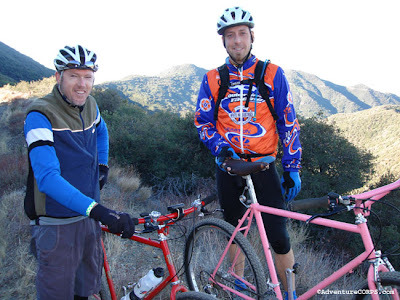 You'll learn things about terrain and trail conditions that you just can't see at biking pace. Look far ahead to where you want to go. Where you look is where you'll go. Look at a big rock or log in your path and you'll hit it. Apply the rule to life in general; look ahead of, instead of at, the obstacles to your goals. Realize that there really is a single best "line" on any trail. Your goal is to find and ride that line and leave it unscathed in so doing. 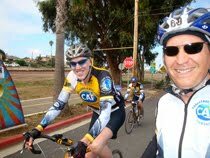 Play follow the leader while riding with a friend or in a race. Assume that if the rider in front of you can do something, no matter how hairy or scary, then you can do it as well. 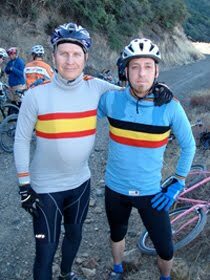 Likewise, if you're leading down a tricky or fast section, assume that you will be run over by the following cyclist if you blow it at any given point. Move with the bike or move the bike, but don't let the bike move you any more than necessary. Be a trapeze artist or a bike-bound ballerina. Move around on your bike, especially on the saddle. Slide way back, slide way forward, and everywhere in between. This will change your muscle group usage, provide mini recoveries, and effectively give you added strength and speed on flats and while climbing. 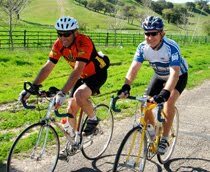 Many cyclists routinely slide way back on the saddle, but how many get way out on the tip of the saddle? You're missing something if you don't. Be one with your bike, like an equestrian with a horse. Let this unity with your steed extend to the earth beneath it. Work and proact with the landscape, not against it and not in a state of reaction. Conserve your energy. Don't tighten even one muscle or body part that needn't be tightened. Waste not, want not. Recover your energy. Every time you can get your heart rate back down, you're recovering. 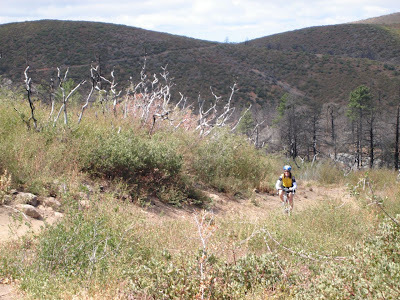 Use downhills and flats to recover for the next tough section. Interval training will coach your heart to drop its rate more immediately after a high intensity effort, allowing you to recover sooner and more often. Never waste a chance to recover, however briefly. Conserve your momentum. More so than power, it will get you through most any tight spot. Never lose your momentum, not just on the bike but also when pursuing your daily life goals. Use your gears! Anticipate your need to shift to a harder or easier gear. Don't let your cadence bog down even once. Don't "save" a gear; use it as soon as you need it. When you crest a hill, pedal all the way over the true crest, then slam it into a taller gear and head for the downhill at maximum speed. Once you've spun out, rest. Train with less technology. Race with more technology. Getting used to race pace with skinnier tyres or sans-suspension will make you an even better rider once you haul out the competitive arsenal. 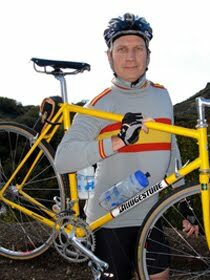 with our Bridgestone XO-1 bikes: neither road bike, nor mountain bikes. 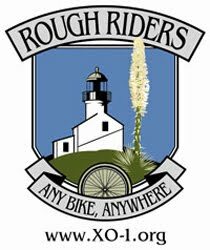 Rough Stuff bikes! Bikes are the ultimate freedom tools: they let you go to more places, more easily, and more simply than any other human invention. But in today’s era of high technology and equipment specialization, they can also seem incredibly limiting. 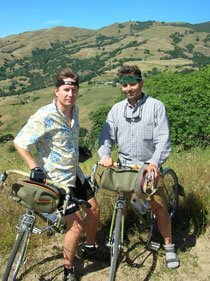 In fact, it’s a common misconception that without the "right bike," one simply cannot partake in the wonderful landscape of cycling opportunities. It’s time to set the record straight, though, for any bike can be taken anywhere! This really isn’t some secret conspiracy that I am blowing the whistle on here, for cyclists the world round take "the wrong bike into the wrong place." 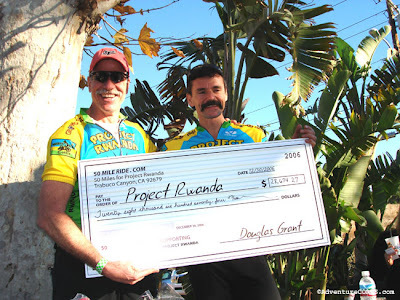 Just ride any century ride and you’ll see innumerable mountain bikes and cross bikes being comfortably and happily put to good use in grinding out the 100 miler. 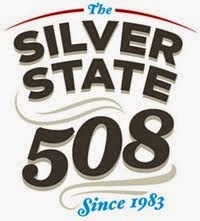 (Heck, mountain bikes have even been ridden successfully in 500 mile road races!) And trails have been ridden for over a century on skinny-tyred bikes, both before and since the inception of the "all-terrain bike." And not only do some of us ride off-pavement with road bikes, but we do it well enough to leave plenty of hi-tech fat tyre bikes in the dust in the process. How does all this work, you ask? It’s simply a case of the rider riding the bike, not the reverse. In other words, let technology work for you or just don’t use the technology in the first place. Think about it: turning cranks in circles is turning cranks in circles. Whether that translates into covering terrain efficiently is entirely up to the skill and strength of the rider. With time, any rider can learn to ride any bike anywhere. The trick is just getting out there and going for it! This philosophy can mean different things to different people. First of all, it can mean that you may not really have to shell out the bucks for a new bike because you only have a "road bike" or a "mountain bike." So this can save you a lot of money. But if you already have both types of bikes, then you can hone your skills for either bike by using the "wrong bike" on various rides. 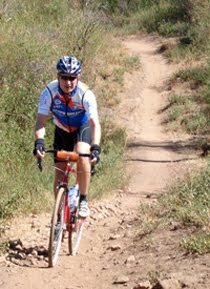 Riding skinny tyres off-pavement will hone your attentiveness, balance, coordination, handling skills, and nerve. 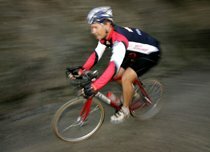 Riding fat tyres on-road will build strength, hill climbing ability, and provide a comfy and largely bullet-proof ride. Rides that combine both environments will become a real treat, allowing you to immediately experience the cross-over benefits firsthand. Yet more reasons exist for taking any bike anywhere… Your potential riding world will become exponentially bigger and more diverse every time you venture out, for you’ll stop differentiating between road rides and trail rides. Thus your new approach to the sport will yield innumerable new adventures and exciting outdoor opportunities. This will translate into a more energetic and purposeful lifestyle that seeks to find and follow the path, no matter how seemingly arduous, that leads to your chosen destination. You’ll learn not to be swayed and diverted by what others think or do, but will stick to your guns, whatever they may be. Your bike will become not only a fitness tool, but a vehicle for self-empowerment! Narrow, hi pressure tyes: Specialized ATB/S 1" or Fat Boy 1.25", Avocet Tri-Cross 1.25", or Ritchey Cross Bite 1.1". Taller Gearing: tighter spaced cogset, such as an 11-24, and/or bigger chainrings, such as 36-42-54. Multi-position handlebars and/or an aero clip-on handlebar. Really trick modifications include lighter, more aerodynamic wheels and clipless road pedals and shoes. Bar end shifters to shift from the bars, and maybe a double wrap of tape to add some cushion for your hands. Slightly wider tyres: 28mm, ideally with some sort of inverted tread, such as the Ritchey Road Force Kevlar. Slightly lower gearing: low gear of 39x26, for example. Knobby tyres up to 35, 38, even 45mm, whatever will fit inside your fork and frame. Triple crank gearing: low gear of 24x28 perhaps. Originally published in City Sports, May 1993, then in the 1994 Bridgestone Cycle USA Catalogue. Originally published in Bicycle Guide Magazine, February 1993. Photos by Bob Schenker. I routinely dust every mountain biker I encounter on the trail. And I ride a road bike. 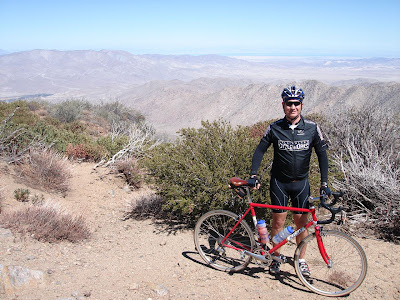 Furthermore, I think, no, I know, the mountain bike is the most over-rated, most improperly used, most over-built, and most greedily promoted piece of hardware to hit the sport and fitness industry in modern history. 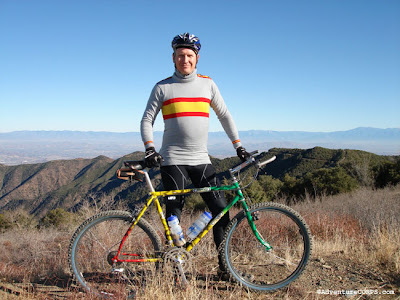 Ninety-nine percent of the miles ridden by 99% of the mountain bikes could, and should, be ridden on the first and only real all terrain bike, the 'road bike.' 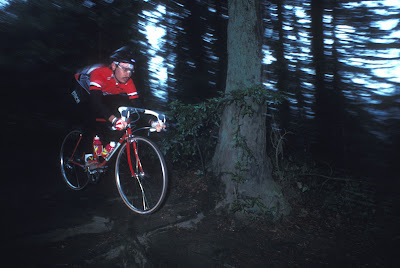 More bluntly, a road bike is equal to or better than a mountain bike if ridden with skill like I have. Blasphemy, you say? Don't think you could possibly ride off pavement without monster knobbies, suspension, enough titanium for an ICBM, and enough gears for at least two whole bikes? Don't be a trained parrot by thinking this and don't let the greedy hawkers control your thoughts and your pocket-book! Simply put, invest in some skills, some style, some finesse, and some balls (girls included), not more over-hyped bike junk. Read it, learn it, and live it: 'Technique beats technology any time, anywhere.' And that's what I deadpan to every nimwit mountain biker who asks me how I managed to blow him away without tweaking my wheels and cracking my frame. 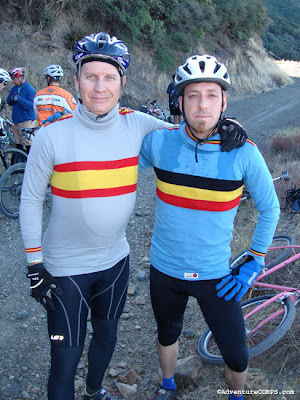 And before you write in that I'm just some elitist roadie with a penchant for ATB-bashing, let me offer my credentials for having a credo worth splashing across this page: I've raced the Alaskan Iditabike three times and have set solo and tandem 24 Hour off-road cycling records. 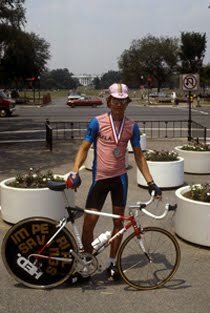 Off-dirt I've raced the Race Across America twice (9th in '87), two Ironmans, and broken numerous distance records, including San Francisco to Los Angeles. Importantly, I practice what I preach. And guess what? 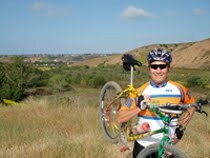 For 99% of the riding I do off-road, I'll opt for a 'road bike' over a 'mountain bike' any day of the week. 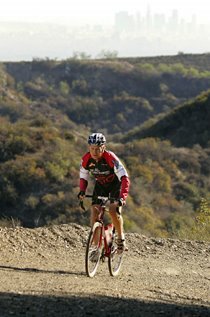 And while much of my off-roading is on fire roads (like 99% of you, as you too live in metropolitan areas where single track is banned or non-existent), my dirt rides include gnarly tree roots, sand, gravel, exposed rock slab, insane uphills and downhills, and other 'challenging surface irregularities.' The trick is that I know how to ride and I don't separate myself from the riding surface with a bunch of unnecessary technology. You see, unlike most cyclists, I can distinguish between 'want' and 'need' when it comes to choosing equipment for my daily training and adventure excursions. 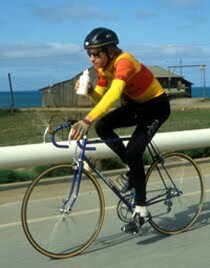 I also have a healthy enough ego that I don't need to try to outdo the next guy or gal by having the latest gimmicky bike gear. (Beauty is only skin-deep, but studly goes all the way to the bone.) By the way, I almost never get a flat and I've never needed to true my trusty Wheelsmith wheels. 1) You'll get used to a little slip and slide under your tyres; then when you hit the pavement or return to the trail with knobbies you'll be astounded by the traction and confidence you suddenly command. 2) You'll be forced to actually pay attention to your line, thus developing better seeing skills and eye-body coordination. 3) This forced attention span will educate you immeasurably about trail surfaces, sands, soils, erosion, even geology, flora, and fauna. In other words, you'll learn to ride with the land, not over it. 4) Your skinny tyres will leave less of an imprint and impact on the trails. 5) You'll marvel at how much faster you can ride on flats, rollers, and most uphills, compared to your full-blown ATB, once you shed all that excess weight, rolling resistance, and weird positioning. I.E., you'll dust the fat tyre 'flyers' like I do all the time. 6) You'll realize that you really can soak up the bumps and dramatically alter your bike's riding characteristics on demand, rather than having your suspension (try to) do it all for you. This is called Body English and it's about time that you really became fluent, rather than only packing a few token phrases like some 'Ugly American' tourist. 7) You'll discover that there's more to the fun factor than seeing how fast you can blast a downhill in a park overflowing with hikers, equestrians, and forest rangers. In so doing, you'll dramatically increase our common survival potential in a world that abhors the mountain bike and all its connotations. 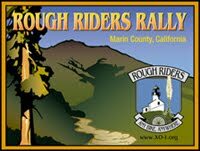 8) Gone will be the days that it's a total drag, literally, to ride to and from the trail head. No longer will you be smoked by the roadies while plodding the pavement, nor will you pollute the ecosphere by driving to the trail head anymore. 9) You'll actually have the nerve to venture down a trail that you discover while out road riding. In fact, you'll quit even thinking of 'road rides' or 'dirt rides.' A ride's a ride and a bike's a bike. It's what you make of them that counts. 10) Finally, you'll learn once and for all that technology is a crutch, not an asset, and that it truly detracts from your life experience on and off the bike. Here you have it, my friends. Take off the blinders and see the truth in what I have presented to you here. 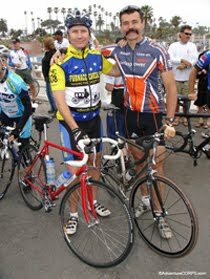 Become great cyclists and develop skills that you won't believe. Then when you do that 1% of your cycling that actually requires a 'real ATB' (say, Slick Rock or Pearl Pass), you'll have the skills to accompany and match all that over-priced technology beneath you. Get skinny. I dare you! Stock: Ride your stock road bike, exactly as is, off-road. Use minimalist technology and maximal skill for ultimate fun and technique development. I did this for a full year with an Alan Carbonio with Kestrel EMS fork, Aerolite pedals, and Scott Drop-In bars. Pro-Stock: Slightly modify your road bike with bar end shifters, an extra wrap of bar tape on the drops, clips and straps on regular pedals (remember those? ), and 28mm tyres. Your steed will be significantly more functional, both on and off road, and no slower, just like my Bridgestone RB-1. Super-Stock: Trick out your road bike usefully and increase its durability dramatically by getting Wheelsmith wheels (32 hole is plenty) with Ritchey rims, sealed hubs like Specialized or Ringlé; sealed bottom bracket like Grafton; and an equally service-free headset by Chris King. Utilize sensible technology; eliminate maintenance. Get stuff that's built to last. Own technostuff actually worth drooling for.